Leave your legacy platform behind. AI-powered Subject Line Analyzer, AB testing, Resend, and Email Automation. 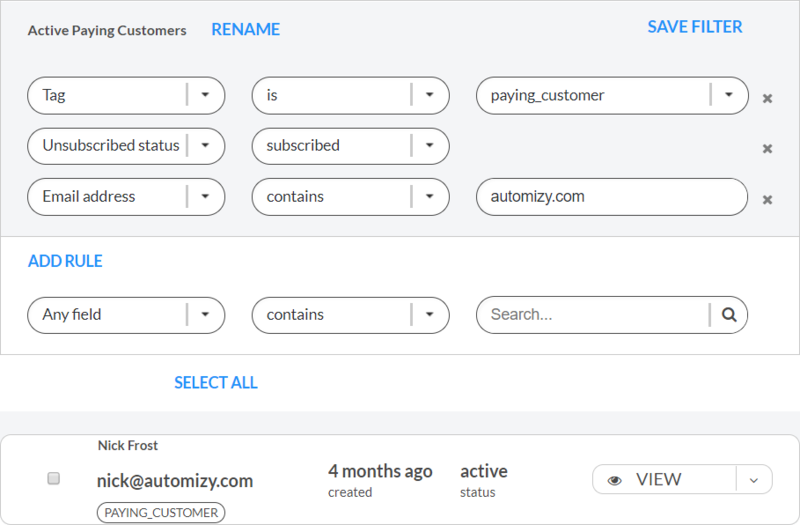 The Subject Line Tester in Automizy grades your subject lines based on data from over 100K campaigns. Even the most seasoned email marketer doesn’t have that kind of experience. Write up to 4 subject line variations and let the algorithm automatically optimize them for higher open rates. The algorithm continuously monitors the open rates of your variations and makes adjustments accordingly. Hint: Combine it with the Subject Line Tester! We greatly simplified building email automations to speed up your work. You’ll get a fully integrated visualization board that will lead and inspire you to create high-performing email automations. There’s no such thing as “go to market” anymore. It’s all about “go to customer.” That’s why it’s critical to have live filtering and segmentation of lists so you can execute campaigns that have the right message for the right audience. With a few clicks, you’ll be launching targeted, segmented, personalized campaigns that convert at higher rates. Our tools and services will thrust your marketing forward.